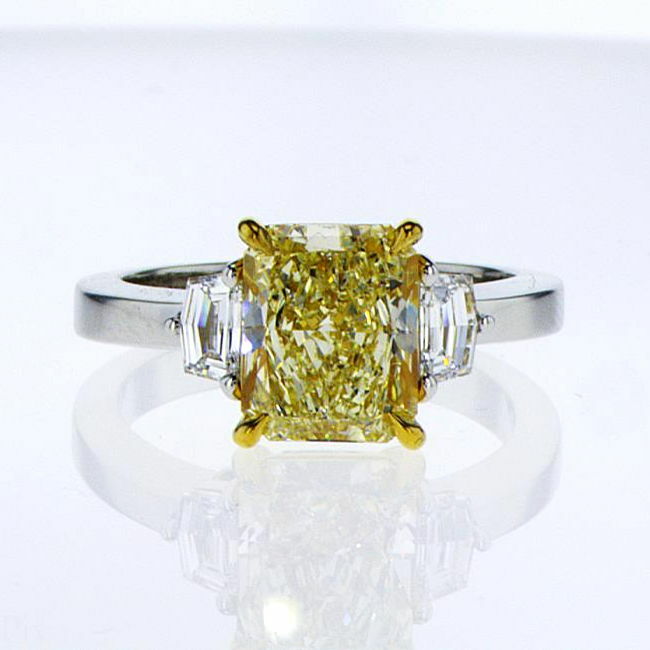 An absolutely dazzling 3-stone yellow diamond engagement ring with 2.85 total carat weight. Center diamond is a 2.41ct GIA fancy light yellow diamond with si1 clarity, excellent polish and symmetry and not fluorescence. It is flanked by two cadi stones weighing 0.44 carats total.